Juntra Resort & Hotel was established in 2002 and has been managed by Kittitanasuan Seminar Center Co.,Ltd. We are dedicated to providing a high quality of services with a commitment to be the best hotel in Nakhon Nayok ensuring that all guests have a relaxing and memorable stay. Located in the heart of Nakhon Nayok town on High Way No. 305. Juntra Resort & Hotel is far from Bangkok only 105 km. Nearby Chulachomklao Royal Military Academy enables you to take golf courses and experience various adventure activities. 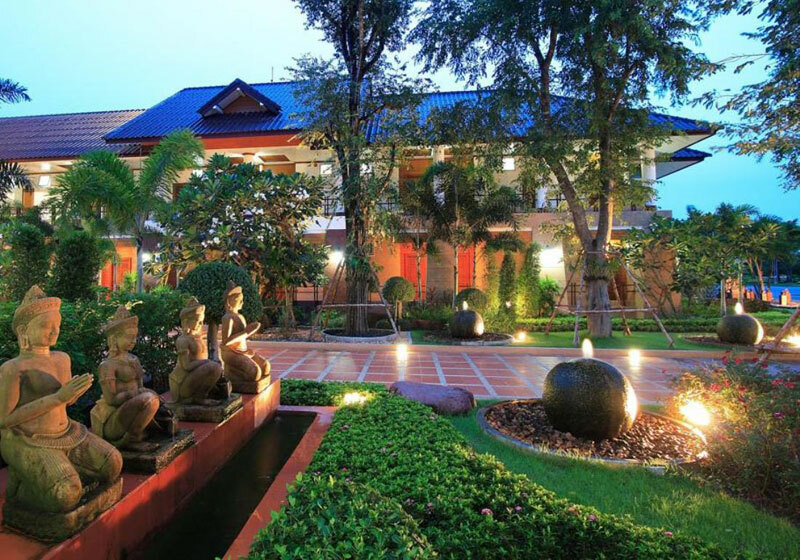 Short Description: Juntra Resort & Hotel was established in 2002 and has been managed by Kittitanasuan Seminar Center Co.,Ltd. We are dedicated to providing a high quality of services with a commitment to be the best hotel in Nakhon Nayok ensuring that all guests have a relaxing and memorable stay.